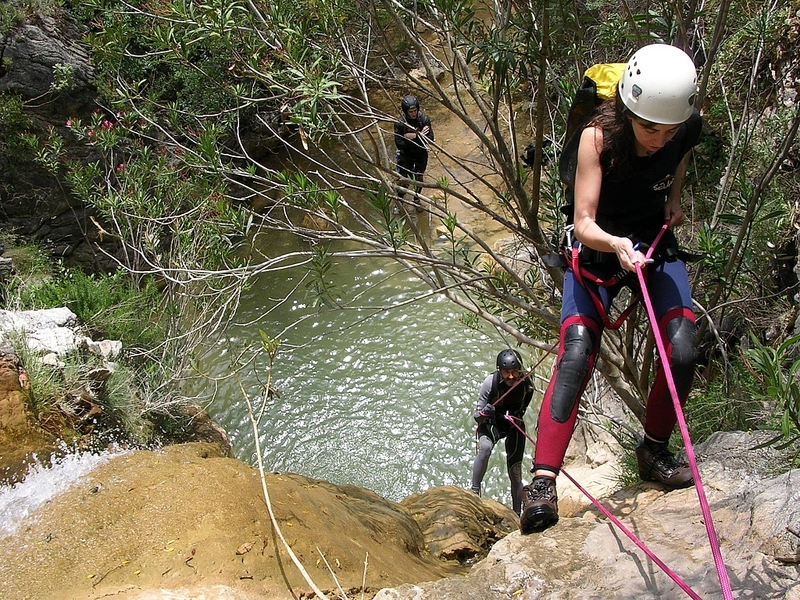 Descent of canyons "Green River"
The descent of Rio Verde is the most known and famous river in Andalusia for maintaining constant water flow, even in summer, with crystal clear waters and sunny riverbed. This second section is a short, beautiful and uncomplicated route, with two rappels and the possibility of many jumps, which ends at the Junta de los Ríos, where the vehicles will be waiting for us without the need for a return kick. Difficulty: medium, good physical condition. Access 30 minutes, sporting descent 3 hours, immediate return.